Abandoned Vehicle Removal has been removing abandoned vehicles and junk cars in the East Valley since 2007. You can count on Abandoned Vehicle Removal to provide the best in customer service. Members of the Abandoned Vehicle Removal Team have in excess of 20 years junk car towing and abandoned vehicle removal experience. Professionalism is the key word. Customer Service is paramount. Our goal is rapid, intelligent 24-hour valley wide junk cars and abandoned vehicle removal services. Abandoned Vehicle Removal Services - Abandoned Vehicle Removal has been towing away unwanted junk vehicles for many years and is recognized as the most trusted junk vehicle towing service in Phoenix. Abandoned Vehicle Removal is the quickest, easiest and most convenient way to get rid of an unwanted junk car, truck, van, boat, trailer or RV. Flat tires, no registration, no title, been in an accident, failed emmissions? No matter what your situation may be, our knowledgeable junk car specialists are standing by to help you get rid of that junk car. We provide fast, free, no-hassle removal of junk cars and abandoned vehicles. Abandoned Vehicle Removal will never charge you to remove that junker or abandoned vehicle. We provide Abandoned Vehicle Removal and Private Property Impound services for all Phoenix Metro cities. Property owners who are in need of an abandoned vehicle, junk car or illegally parked vehicle removed from their property can call 24 hours a day to have the vehicle removal service scheduled. 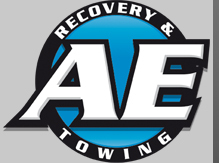 Abandoned vehicle and junk car towing services are performed same day in most cases and usually within just a few hours. Illegally parked vehicles are impounded within 30 to 45 minutes. Abandoned Vehicle Removal Service will buy junk and scrap vehicles of all kinds! We pay cash for junk cars! Do you need extra cash and you have an old car in the back yard that you no longer want? Turn it into cash! Call us today. We can handle vehicle donations for you also. We can get rid of that old junk car with or without a title. No Problem! We can pay you up to $500.00 on the spot and a tow truck will tow it away for free. Call today and see how much we can offer you for your unwanted car, truck or van. All makes and models welcome. We pay cash for junk cars and trucks! Abandoned Vehicle Removal will work closely with the property management team accessing the specific needs for each individual property. Some properties may have more of a problem with abandoned or junk cars. Others may have problems with residents or guest parking cars in front of the dumpsters. When the waste removal company arrives to remove the trash, their drivers are unable to access the dumpster. Each property is unique and at Abandoned Vehicle Removal, we make every effort to customize our service to the property's specific needs. Apartment Complexes, Property Management Companies, H.O.A. 's, Retail Property, Commercial Property, anywhere you have a parking problem, Abandoned Vehicle Removal service can help you fix it as well as offer free consultation of property to insure compliance with state law, Tow Away Signs customized for the parking regulations of your property, along with free installation and replacement, Customer care oriented, Professionally Trained drivers Digital photographs of every vehicle towed from your property, documenting the violation, discounted service calls for your residents, including: jumpstarts, tire changes, lock-outs, and Peoria towing services to your resident's preferred repair facility. Abandoned Vehicle Removal Service is capable of moving or removing abandoned vehicles, junk cars, unregistered or inoperable vehicles, campers or larger trucks. Abandoned Vehicle Removal Service provides appropriate signage at no charge to management unless the management company would like signs that are customized for the property. Installation is at no charge. Warning stickers are provided at no charge as well as legal impound forms. For properties that have assigned parking and authorize the residents to have vehicles removed form their space, Abandoned Vehicle Removal can provide "Tenant Tow" cards at no charge. Every now and then, a member of the management staff may have a vehicle removed from their property that should not have been towed. The owner of the vehicle may have been out of town for an extended period of time and not able to respond to the warning sticker placed on the vehicle. Abandoned Vehicle Removal Service has a "No Charge for Managerial Error" policy. This means that when authorized in writing by the property manager, a vehicle may be released at no charge to the registered owner. Abandoned Vehicle Removal Service requests that the registered owner pick up the vehicle at the storage/impound lot for the "No Charge" service. Many property managers are not aware of which vehicles are parking on the property in the middle of the night. Abandoned Vehicle Removal can, upon request, check the vehicles on site at night. They will check the property for any unregistered cars. They will also check the cars to see if they appear to be inoperable (flat tires, excessive dust buildup, cobwebs, etc.) They will provide a list of these vehicles and their general location. It is then up to the management to decide if they would like to have these vehicles towed by a towing truck. 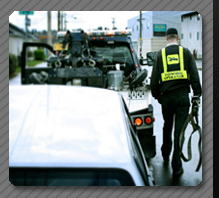 Abandoned Vehicle Removal Service always reports the vehicle being towed to local law enforcement. This policy ensures the vehicle is not stolen and also provides law enforcement with the tow company information. When the registered owner calls, they will be advised of the vehicle location. 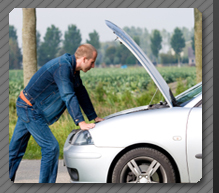 Abandoned Vehicle Removal Service consistently provides timely, reliable, courteous towing services. Call our office to schedule a meeting with our knowledgeable customer service representatives. Tired of chaos in the Peoria parking lots? Our Abandoned Vehicle Removal Parking Management program is for those property owners, security companies and management companies who have commercial properties that are in need of Peoria parking enforcement or parking management and Peoria private towing services. We offer a wide variety of complimentary towing services aimed at providing you with convenient and quick solutions to most parking problems. Illegally parked vehicles in assigned, visitor, or management spaces, Inoperable or Abandoned or Junk vehicles, Unwanted commercial or recreational vehicles, Vehicles parked in disabled spaces without proper placard, Double parking, blocking garages and dumpsters, illegal tandem parking, Offenders of fire lane/red zone areas, we tow them all at no cost to the property managers or property owners. © 2008 Abandoned Vehicle Removal. All rights reserved.